In The Shadow Of The Nittanys….. In all the baseball places I’ve been, this is different. It’s probably hard to track a fly ball for being caught up in the beauty of the backdrop. 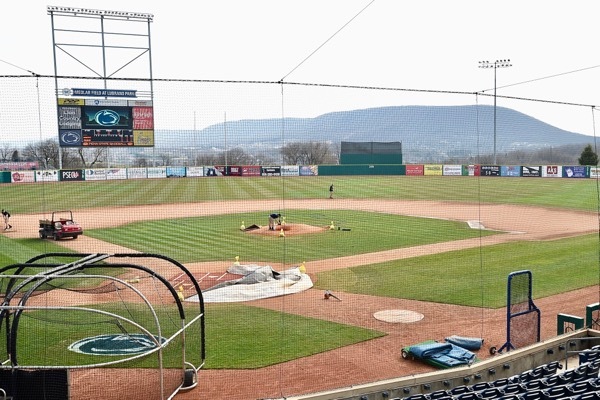 State College, Pa. – In their press guide for Penn State baseball they mention that their ballpark, Medlar Field, is “arguably” one of the best college baseball facilities in the country. And I guess a number of universities can make that claim. I’ve been to several and they’re all unique for one reason or another. Most have beautiful playing surfaces, natural or otherwise. Some have better lights than others. Some seat more than others. And some have better traditions than others, or alumni who have played. But none can beat Penn State University for the sake of what sits outside the ballpark; because when you look beyond the outfield walls here the view is pretty breathtaking. They call them the ‘Nittany Mountains’, and Medlar Field (at Lubrano Park) sits right in the middle of them. In fact, the town of State College itself is framed by the vista of those mountains, rising above what they call ‘Happy Valley’, and if you’ve ever been to Chattanooga, Tennessee, what you see there is what you see here when you look out beyond the centerfield wall. Mount Nittany, or the Nittany Mountains in general, gives State College that same Lookout Mountain ambiance you see in ‘Nooga. I’ve never been here, so I didn’t really know what to expect Thursday until the team charter dropped down over the hills and into the valley where University Park Airport sets. 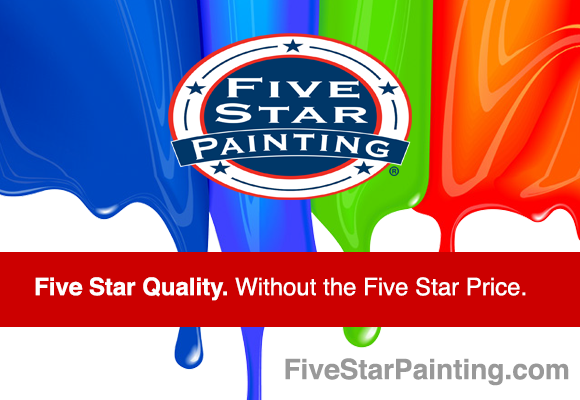 It’s like…boom…and you’re there! It, like State College, is small – quaint – and the four mile ride from the airport to town is something right out of Sleepy Hollow and Ichabod Crane, field stone houses and all. Unlike the urban feel of Columbus and the Ohio State campus, Penn State rises almost from nowhere when you turn down Park Avenue in State College. Beaver Stadium, where they play football, is a massive tangle of girders and concrete that dwarfs everything in its midst – impressive. The thought strikes you of how anything that big can be in a place so small – the ultimate ‘build it and they will come’. The baseball park is right across the street, a 5,600 seat job that features what’s ‘arguably’ the best playing surface in America…because the turf and agronomy school at Penn State is recognized as one of the best of its kind in the America. Like Beaver Stadium across the street, it has a beautiful natural bluegrass surface. 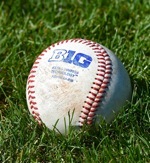 Most of the rest of the Big Ten programs have all gone to one type of artificial surface or another. But when you stand behind the batting cage during practice, and gaze out over the outfield walls at Penn State, there is nothing at any other Big Ten school that can match the view. The term ‘batter’s eye’, the dark backdrop at most ballparks that aid hitters in seeing a pitched baseball, is made insignificant here by the presence of the Nittany Mountains. It’s hard to actually look at the baseball – distracting – because of the beauty of landscape. Actually, I guess someone has figured it out, because entering this weekend Penn State is only 7-18 in baseball, and just 1-8 in the Big Ten. And last week’s games with Minnesota had to be played on the Purdue campus (midway between both schools) because of the cold weather here, and snow. The Nittany Lions lost all three, possibly because there are no mountains in West Lafayette. You think? They tell me here that Penn State is one of the most popular destinations for visiting fans during football season. I can see why. There are no leaves on the trees here yet (and the locals here gripe about the cold spring, too), but I can imagine that during the fall those mountains look like Vermont, only with Saquon Barkley. So if you’re reading this, and haven’t been to State College, Pennsylvania, put it on your ‘bucket list’ – baseball as Ichabod would have liked it. And ask the locals where to go, to see, and where to eat, because they won’t steer your wrong. In the shadow of the Nittanys…..! 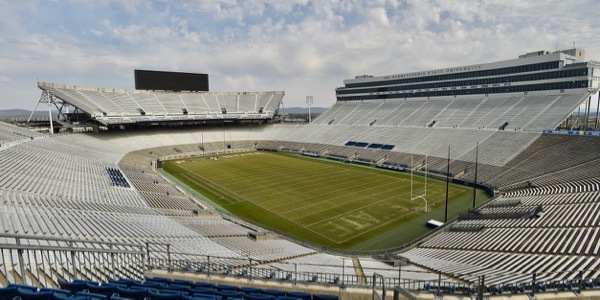 They do this, too…Workers prepare Penn State’s Beaver Stadium in preparation for next weekend’s Blue and White game.